Would you like us to pick you up at the airport or may we pick up a guest for you? Our well dressed and discreet drivers will welcome you or your guest holding a well visible sign with your name, take care of your luggage and ensure you or your guest are at ease from your first moment in Sicily. Point to point trips make it easy for you to relax and not worry about finding parking. Business meetings (where you as our client have a limousine at your disposal for the duration of your stay). You can ensure speedy and efficient limousine service by booking a limousine, which would be at your disposal around the clock or for as many hours per day you may wish. Visits the main historical, artistic and cultural places in Sicily or why not choose a winetasting or typical sicilian dinner. For this special and memorable occasion, Sicily Limousine Service is no stranger. On this joyous day everything must be perfect, at Sicily Limousine Service we have the knowledge and experience to ensure this happens. The reputation of Sicily limousine Service for punctuality, pleasantness, politeness and patience means you can leave everything to the professional care of your own uniformed, trained Chauffeur. Relax and enjoy the most important and romantic day of your life. 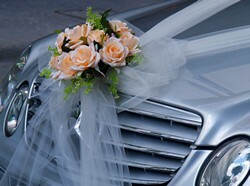 Our professional team is dedicated to ensuring that the Bride and the Bridal Party arrive in style on this special day. Let us help you create happy memories that will last a lifetime. 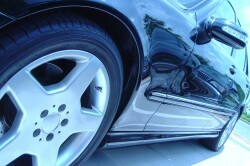 At Sicily Limousine Service we are able to provide extended security if requested. Please contact us for further information. Prebook or call us directly when you need a car. Whatever your needs or desires are, Sicily Limousine is there for you!